Shelina Moreda is the first female to have raced a motorcycle at Indy Raceway and the only female to be racing in the AMA Pro Harley class. 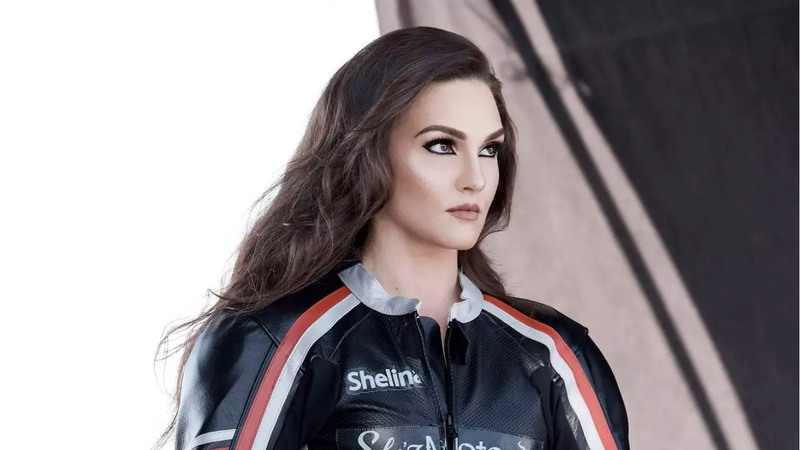 Shelina races professionally in both the United States and Europe and is one of only four females racing motorcycles at the National level in the United States. Shelina has many highlights in her career including being the first female to race in the AMA Vance & Hines Harley Davidson class, first female to race an electric bike at the World level, first GoPro Roadracing video which has soared over 800,000 hits on YouTube. She has raced at Le Mans in France, Daytona, Indy and other world renowned tracks and can be seen regularly at popular motorcycle races. She has achieved multiple top 15 finishes on grids sometimes exceeding 50 riders. Some of the biggest networks in Italy have run special segments on Shelina and she has also been featured on the Speed Channel and Indy Style in the US, along with countless other media highlights including Magazines, Radio, Newspaper and the internet; ESPN, Chicago Tribune and more. Shelina writes for several magazines and online magazines and by popular demand, she will be doing product reviews starting this season. Shelina looks forward to the 2013 season and is training hard in the offseason to prepare. She has learned the value of flat track and supermoto as a cross training tools through her time learning and guest instructing for Colin Edwards at the Texas Tornado Bootcamp as well as Brok McAllister at Prairie City Flat Track and Supermoto USA. She will continue racing in the flat track and Supermoto USA series’. She has set High Goals to keep up with her Rocketing Career Growth. Shelina enjoys a challenge and works hard to accomplish dreams, while sharing the thrills with her fans and race spectators. 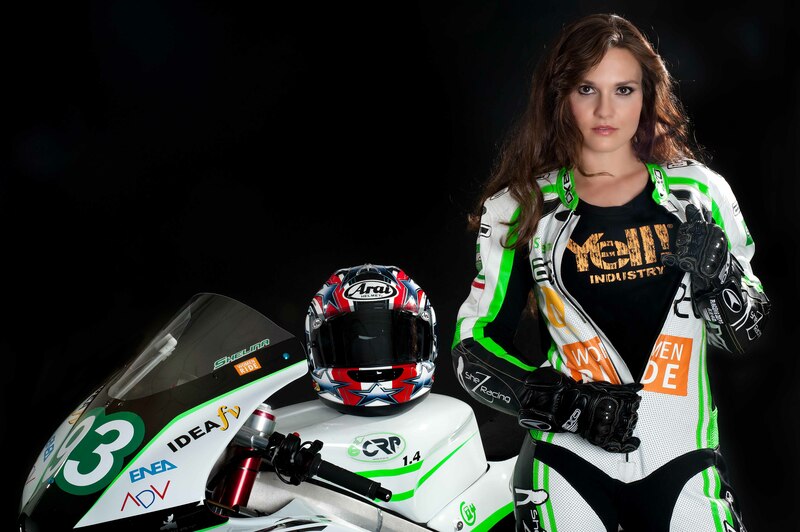 Professional motorcycle racer Shelina Moreda has always liked moving fast. She was just a toddler when she rode ATVs. She fell in love with dirt bikes at the age of 12. Her mother and father – who raced cars and dirt bikes himself – were supportive when she announced her career choice. Moreda, now 27, lives in Petaluma, Calif., one of just three women to race in the AMA Pro Road Racing National Series. With entries for this weekends AMA Pro Vance & Hines XR1200 presented by Harley-Davidson Insurance double-header at Indianapolis Motor Speedway already more than eight rows deep, several additional racers have stepped up to throw their helmets in the ring, including HOGs Shelina Moreda. While AMA Pro Motorycle-Superstore.com SuperSport star Elena Myers became the first female to earn an AMA Pro victory, Moredas participation in the August 26-28 event marks the first time a female motorcycle rider has competed at the venerable Brickyard in the venues 100-plus years of motorcycle-racing history. I am very excited to be a part of this huge race, said Moreda, and to not only be the first female to race in the AMA Pro XR1200 class, but the first female ever in the 100-year history of the track to race on a motorcycle at Indy! The former District 3 California Dairy Princess — who learned how to ride motorcycles while growing up on a dairy farm — added, My father is a huge fan of the Brickyard, and we were naturally excited about racing at a track that has strong ties to the dairy industry. Shelina Moreda lives in Petaluma, CA USA. She is one of three females racing motorcycles at the national level in the United States. She races with AMA Pro Roadracing and travel all over the US to race my Yamaha R6. She also race electric motorcycles at the international level and flew to Europe last season to race at Le Mans in France. She was also the first female to ever race a motorcycle at Indianapolis Motor Speedway in the history of the track when Isheraced a Harley Davidson XR1200 there last season. She started riding motorcycles when she was a kid, Dad taught me so she could do chores on our ranch for him… he didn’t know what he was starting 😉 she fell in love with motorcycles and racing became a dream of mine, now she chasing that dream to the highest level she can take it. There aren’t many females in this sport, so it’s kindof a fun challenge, she loves conquering all the time.She says: I don’t come from the regular avenues of parent supported careers like a lot of racers… so it’s a constant struggle to be making my way in the motorsports world, and I’m just showing that anyone can do Anything that they want if they put their mind to it. I am going to be the Danica on two wheels. I am a loyal and intense promoter of racing. A sponsorship gives me the opportunity to promote for a company who wants to expand their name in the motorsports world.I am active in the community and promote involvement with fans in my racing by being approachable. I feel that it is as important to connect with individuals as it is to have a strong public presence. 2012 – Top Finish AMA Pro Supersport was 21st at Daytona after starting 44th, improved times by 6 seconds through the weekend.